Syria’s Deputy Foreign Minister Faysal Mekdad denied yesterday that his government had ever used chemical weapons or chlorine during the brutal war in his country. 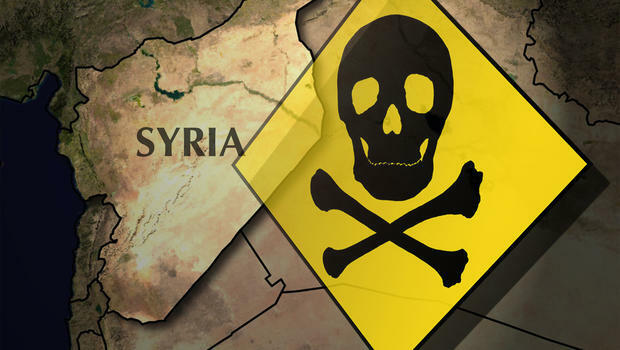 Mekdad was speaking at a meeting of the Organization for the Prohibition of Chemical Weapons as the group comes close to fully eliminating Damascus’ deadly stockpile of nerve agents and poison gas – helping international efforts to prevent terrorists using such weapons. It’s not the first time such claims have been made. In October, Iraqi officials said militants from the Islamic State of Iraq and Syria (ISIS) used chlorine gas during fighting with security forces and Shiite militiamen north of Baghdad. The statements in Iraq came two days after Kurdish officials and doctors said they believed ISIS militants had released some kind of toxic gas in an eastern district of Kobani. President Bashar Assad’s government also is widely believed to have unleashed chemical weapons during the civil war, despite its repeated denials. Chlorine gas is readily available and used in industry around the world, but can also be used as a weapon. Angela Kane, the United Nations’ disarmament chief, also acknowledged the new risks posed by terrorists. “There is a very distinct threat that has arisen and actually also is being investigated by the OPCW with a fact-finding mission,” she said, adding that various international bodies and the U.N. are coordinating efforts to fight terrorism. In a preliminary report issued in September, the fact-finding mission concluded that a toxic chemical, almost certainly chlorine, was used “systematically and repeatedly” as a weapon in attacks on villages in northern Syria earlier this year, but didn’t apportion blame. The OPCW, a Hague-based body, won the 2013 Nobel Peace Prize. In responding to the report, Secretary of State John Kerry said the evidence pointed towards Assad government forces. Kerry said in the statement the Obama administration is “concerned” the Assad regime was not completely honest when it declared and handed over its chemical weapons stockpile as part of the deal with the West, and that chemical attacks in civilian areas will continue.